Just a reminder that we will be at the Women's Expo this weekend (Friday the 20th, and Saturday the 21st) at UVU from 11-8 both days. We will also be holding a DIY class on Saturday at 5:00 pm- which we have changed to make it easier for everyone to come! 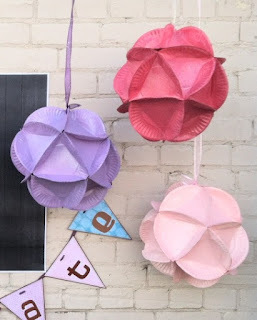 For only $6.00, go home with 3 paper plate decorative balls to hang at your next party!! Does not include spray paint (we won't have time) or ribbon to hang. But we'll get all the grunt work done!! :) Call our store today to sign up, or show up Saturday at 5:00! 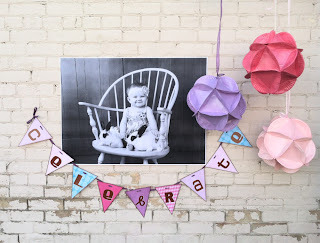 Are you lost when decorating for a party, bridal shower, baby shower, graduation, etc?? Well we have the PERFECT thing for you! We are hosting a DIY (do-it-yourself) class which will be held at the UVU Women's Expo NEXT SATURDAY! This kit will make it SO EASY for you to decorate and the best thing? You can re-use it all for the NEXT PARTY! We are SUPER excited. The class will be held Saturday, April 21st at 5:00-5:45 pm at the UVU center. But... if you CALL OUR STORE to sign up, we will knock $5 off! So you will go home with all the above for only $20.00! Make sure to specify which banner you would like (lavender, pink & blue) or (brown, red, blue, green, yellow). CAN'T WAIT TO SEE YOU THERE!